When you’re looking for a good quality headset that already includes pretty good features at an affordable price, you don’t have that many options. 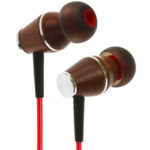 So, we decided to show you one of the best headphones on the market when you have a tight budget – the August EP650. In this August EP650 review, we are going to look at the different features it has and why we have chosen these August wireless headphones instead of any other headphones. So, let’s get started. One of the main features that you should probably be more interested in is the sound quality. And the August EP650 simply delivers an amazing sound. You’ll finally be able to enjoy your music and listen its powerful and crisp sound. It is deep and clear and you probably never thought you could have such a sound quality in an affordable headphones. 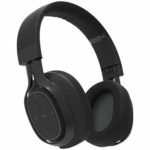 Make sure to check out the 15 top notch wireless headphones. Although sound quality can make or break headphones, the fact is that if they’re not comfortable, you’re never going to wear them. The August EP650 are quite comfortable. 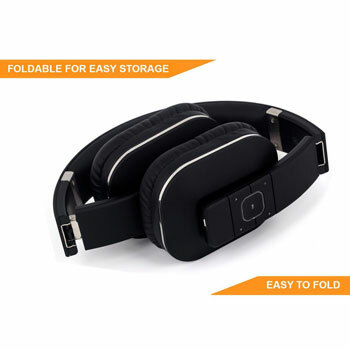 Their design will perfectly fit your head and they are lightweight which allows you to either wear them or simply carry them with you easily wherever you go. 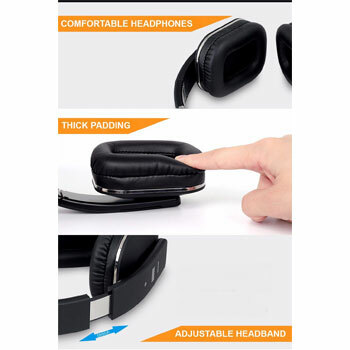 In terms of the ear cups, they use a thick sponge padding. So, you can actually wear the August EP650 during the entire day because you won’t even notice they’re there except for the music. And if you’re planning on taking them with you to the gym or somewhere else. you’re going to love to know that the August wireless headphones actually fold. So, carrying them has never been easier. 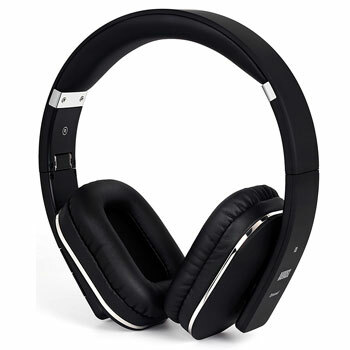 The August EP650 headphones also include the Bluetooth 4.1 technology and NFC. And all you need to do to connect your new August Bluetooth headset to another device to pair the two together is simply tapping the NFC button. 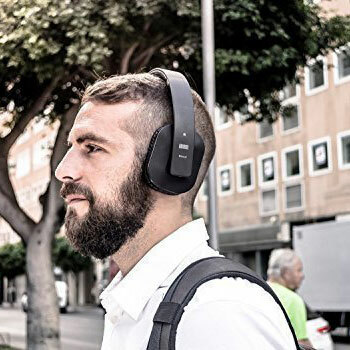 The August Bluetooth headset also has a built-in microphone that allows you always be connected to your phone, even when your busy doing other things. So, besides the control button that allows you to answer calls, the August wireless headphones also has other control buttons to play and pause, to pairing it, and to control the volume. 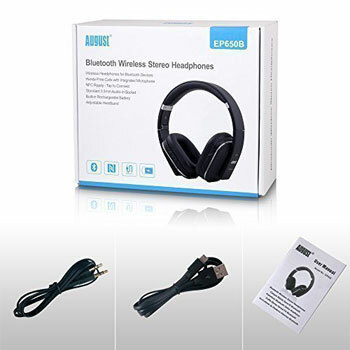 One of the things that we have been seeing in the different August EP650 reviews is that more and more people are using these Augst headphones to watch TV. Yes, and they are succeeding doing something that only a small percentage of the more expensive headphones allows you to do. The August EP650 includes the apX low latency feature. This way, you can finally watch TV without any lag on either the image or the sound. According to the different August EP650 reviews, people are using the August EP650 headphones when they are at home, at work, and they’re even taking them to the gym as well as when they go to practice some outdoor sports. So, it’s easy to see why so many people are fans of this model. The August EP650 Headphones are incredibly versatile, extremely comfortable, deliver an amazing sound quality, and they are made to last. 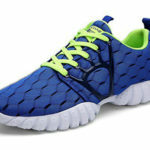 Plus, they are affordable and even if you have a tight budget, you’ll be able to get them.